Our Sports DJ Sound Off series is designed to provide insightful ways to help properly theme and soundtrack sporting events. In addition to providing themed playlists, we're now connecting with some of the most talented Sports DJs from around the country and picking their brains for your benefit. Listen up as we 'Sound Off' with the industry's finest. Scotty B poses with the 3PT crew at the 2014 Nike 3on3 Tournament at L.A. Live. Back in 2012, at the Nike Basketball 3on3 at L.A. LIVE, is where I first met and worked with Scotty B. To say we "hit it off" is an understatement. Our introduction was more like that scene from the movie "Step Brothers" where Will Ferrell and John C. Reilly shoot back and forth at each other before declaring, "Did we just become best friends?!?". We're both really passionate about production details and were able to bounce ideas back and forth constructively and some really successful collaborations have developed as a result. Scotty has quickly emerged as one of my favorite people on this planet. He's one-of-a-kind. Not only is he a super talented DJ but he's also one of the best event emcees I've ever come across. He has unreal energy and a wildly creative spirit that mixes well with his charming wit. He's a showman. A true performer. We've utilized Scotty's multi-dimensional skill set at several events including the 2015 Under Armour All-American Football game and annually as part of NCAA Final Four weekend. Scotty B is considered family here at 3 Point Productions. I recently got to "Sound-Off" with my friend and here's how it went down... Meet Scotty B.
MH: Which sports organizations have you or do you currently DJ for? SB: I'm the official DJ for Cobra Puma Golf. I've spent the last seven years as DJ for Nike Basketball 3ON3 in Los Angeles. I've also served as the DJ/Emcee for Capital One JamFest as part of NCAA Final Four weekend for the last 4 years. I'm the former DJ/In-Arena Host for the Orlando Magic (2001-2013). MH: How did you get involved in sports and become a sports DJ? 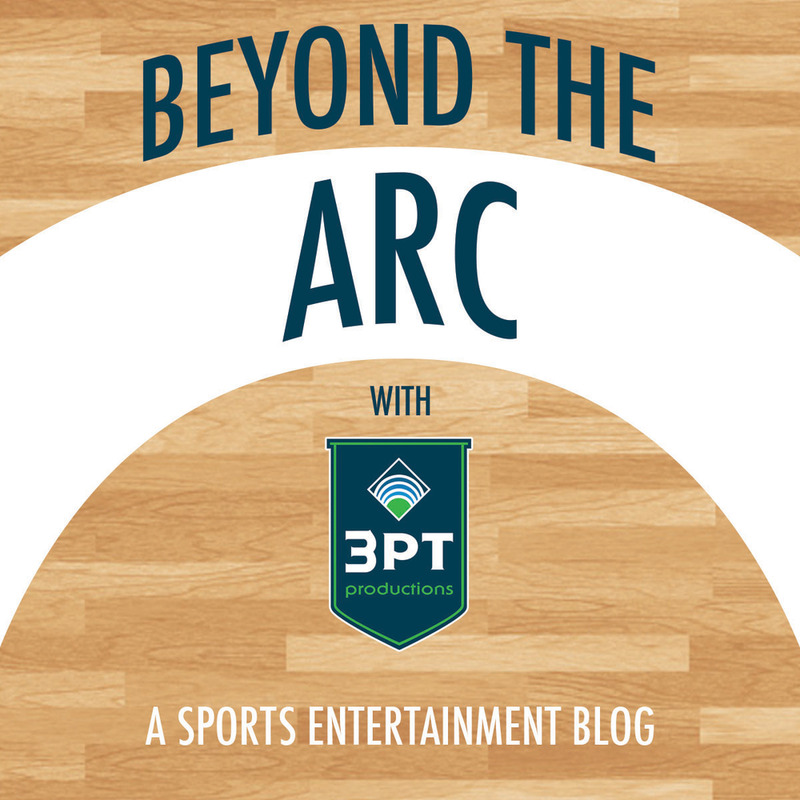 SB: I started as an interactive performer for the WNBA's Orlando Miracle - which is now the Connecticut Sun. The Orlando Magic then picked me up as their In-Arena Host and later added the DJ'ing element. MH: What advice would you give to young people considering a career in sports? SB: Know that it is a great way to expand your talents (as a DJ) to a larger, commercial audience. It gives you a broad perspective on what is possible, what is popular, and allows you to explore a wide range of music. It, like most positions belonging to a multi-faceted sports enterprise, can be temporary so get the most out of it and roll with any changes that may come along. This to me, is the most valuable lesson I've learned. MH: Which of your career highlights are you most proud of and why? SB: The aspect I loved the most while with the Magic, were the crowd reposes elicited by certain tracks. Along with my interactive skills as an emcee, I created special moments of high energy that were felt by the team as well. I enjoyed hearing the feedback from players that were actually moved by the moment and felt like it affected their energy throughout the game. Scotty B serving as the DJ & Emcee at the Infiniti Tip-Off Tailgate at the 2012 NCAA Final Four in New Orleans. MH: What is your favorite sport to DJ and why? SB: College tailgate parties for corporate sponsors. They're a bit more intimate and they bring out the best, most diverse crowds. You can really explore the energy of the music you want to play while crossing multiple genres in your mix. Once you have them hooked, you can go anywhere! Within reason. MH: Which songs, artists or genres do you consider a guilty pleasure? SB: Right now, I'm really enjoying Deep and Future House along with Indie remixes. There is a strong push towards taking Top 40 and older, popular tracks and creating current pieces with a funky electro feel. I like to say I'm an open format guy, but I do gravitate towards EDM, House and Indie Remixes. SB: I run the gamut when it comes to gear. I'm a turntablist at heart, but some outdoor events make it impossible with weather, so I've grown very fond of the Pioneer DDJ-SZ. It's a great, versatile controller. Everything I do is run through Serato DJ. MH: Name 3 songs that you think should be in every DJ's music library. SB: "Show Me What You Got" by Jay-Z, "Boneless" by Steve Aoki and "Zombie Nation" by Kerncraft 400. MH: If you could DJ any sporting event in the world, which would you pick? SB: The Olympics. I have a group called "Project: DJ Slam!" that involve a DJ, two drummers, a guitarist, a violin and a sax. I'd love to perform for an international crowd with them. MH: If you were a professional baseball player, which song would you pick as your batter intro music? SB: "SAX" by Laidback Luke & Tujamo. The drop is 100% pure energy! MH: What's your favorite "theme night" to soundtrack for at a sporting event? SB: I loved the 90's. Hip-Hop and R&B actually served a purpose to inspire people to dance. Top 40 was great because the two genres I just mentioned were bleeding in and influencing other artists... the rock movement at the time was great as well. I've found a lot of remixes generated today that originated in that era. That says something. 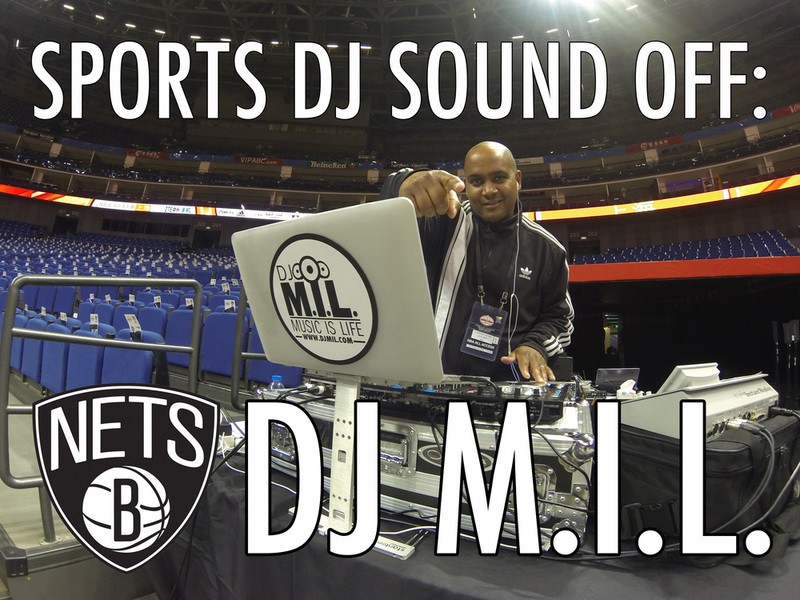 Sports DJ Sound Off: DJ M.I.L.